In July 1909, a son was born into the Akindayomi family of Ondo State of Nigeria. Even though this child grew up surrounded by idol worshippers, he knew there existed a greater power and yearned to know, “The God who created the earth and everyone on it”. This pursuit for God led him to the Church Missionary Society where he was baptized in 1927. Still spiritually unfulfilled, he joined the Cherubim and Seraphim church in 1931. Whilst there, he began to hear a voice within him saying, “You will be my servant.” Since this was not his intention, he decided to ignore the voice. This went on for seven years during which all the business ventures that he tried resulted into failure. In debt and without peace of mind, he found himself totally dependent on the grace of God. Here marked the beginning of a definite relationship with God. Totally broken, he yielded saying, “Lord, I will go wherever you want me to go.” He asked for signs to confirm that this was indeed God’s call. The confirmation came through the Bible passages of Jeremiah 1:4-10, Isaiah 41:10-13 and Romans 8:29-31. The Lord assured him that He would provide for all his needs, as he would not receive any salary from that point on. This proved to be a comforting reminder during the trials in the months ahead. He became married in 1941. He continued to worship with the Cherubim and Seraphim. In 1947, he started to become concerned that the church was departing from the true Word of God in some of its practices. By 1952, he felt totally persuaded to leave the church. 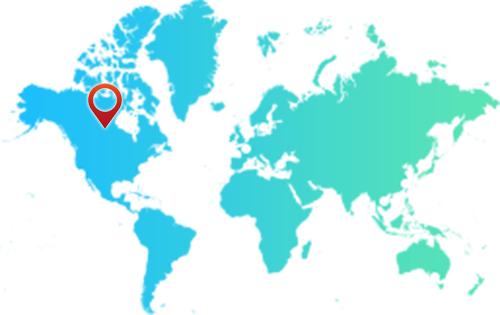 He started at Willoughby Street, Ebute-Metta, Lagos a house fellowship called, the Glory of God Fellowship. Initially there were nine members but before long the fellowship rapidly grew as the news of the miracles that occurred in their midst spread. Pa Akindayomi also had a vision of words that appeared to be written on a blackboard. The words were “The Redeemed Christian Church of God.” Amazingly, Pa Akindayomi who could not read or write was supernaturally able to write these words down. In this visitation, God also said to him that this church would go to the ends of the earth and that when the Lord Jesus Christ appeared in glory, He would meet the church. The Lord then established a covenant with Pa Akindayomi, synonymous to the Abrahamic covenant in the Bible. He said that He the Lord would meet all the needs of the church in an awesome way if only members would serve Him faithfully and be obedient to His Word. It is upon this covenant that the Redeemed Christian Church of God was built. Thus, the Redeemed Christian Church of God was born in 1952, destined by the Lord Himself to take the world for Him. The church continued to meet at 9 Willoughby Street until they were able to acquire some land thereby witnessing relocation to the present site of the Headquarters of the church at 1-5 Redemption Way, Ebute-Metta, Lagos (formerly 1a, Cemetery Street). Sometime in the early 70s, God had spoken to Pa Akindayomi about his successor. The Lord told him that this man, who was not a member of the church then, would be a young educated man. Thus when a young university lecturer joined the church in 1973, Papa was able to recognize him in the Spirit as the one that the Lord had spoken about in the past. 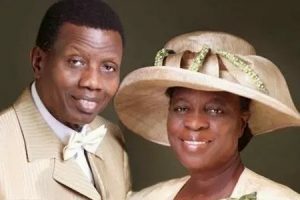 This man, Enoch Adejare Adeboye who was then a lecturer of Mathematics at the University of Lagos soon became involved in the church. 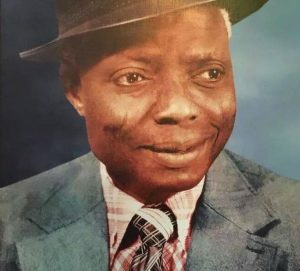 He became one of the interpreters translating Pa Akindayomi’s sermons from Yoruba to English. He was ordained a pastor of the church in 1975. Since 1981, an open explosion began with the number of parishes growing in leaps and bounds. At the last count, there are at least about 2000 parishes of the Redeemed Christian Church of God in Nigeria. 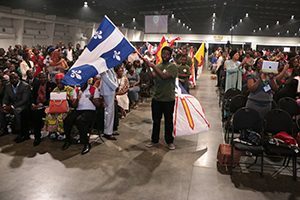 On the International scene, the church is present in other African nations including C’ote D’Ivoire, Ghana, Zambia, Malawi, Zaire, Tanzania, Kenya, Uganda, Gambia, Cameroon, and South Africa. In Europe , the church is fully established in the following countries: United Kingdom, Netherlands, Spain, Italy, Germany, Greece, France, Switzerland, Austria, Denmark, Sweden and Norway. Today, God is still doing marvelous deeds through The Redeemed Christian Church of God, worldwide. 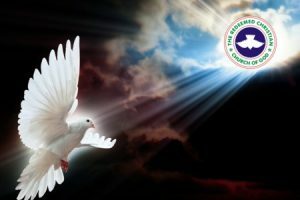 One of the well-known programs of the church is the Holy Ghost Service, an all night miracle service that holds on the first Friday of every month at the Redemption Camp at Km. 46, Lagos – Ibadan expressway. The average headcount of those who attend the Service is in millions. The Holy Ghost Service now holds all around the worldmonthly but is led by Pastor Adeboye, half-yearly in London. 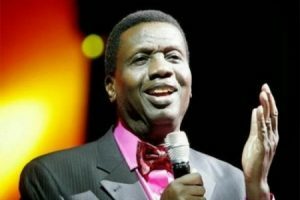 Similarly, Pastor Adeboye leads these services in Washington DC and Toronto, Ontario, Canada once in a year and once in Europe every two years.